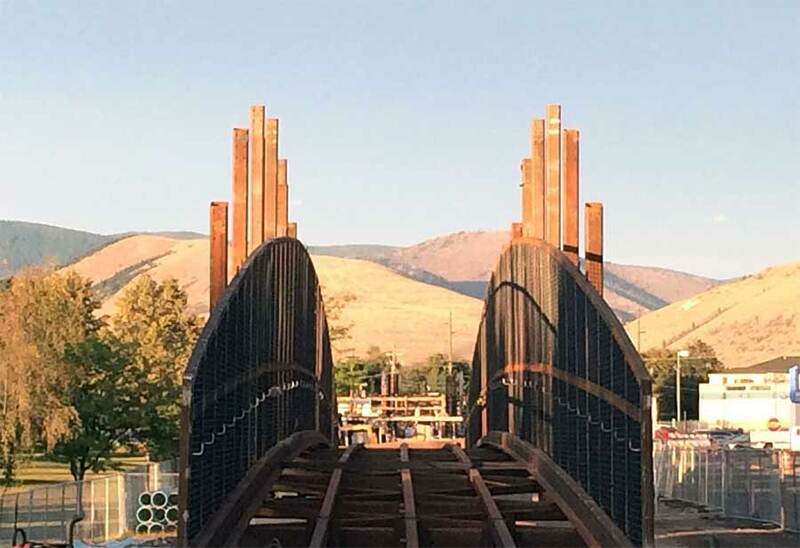 The Reserve Street pedestrian bridge in Missoula, MT constitutes the last link in a 50-mile separated pathway from downtown Missoula to Hamilton. 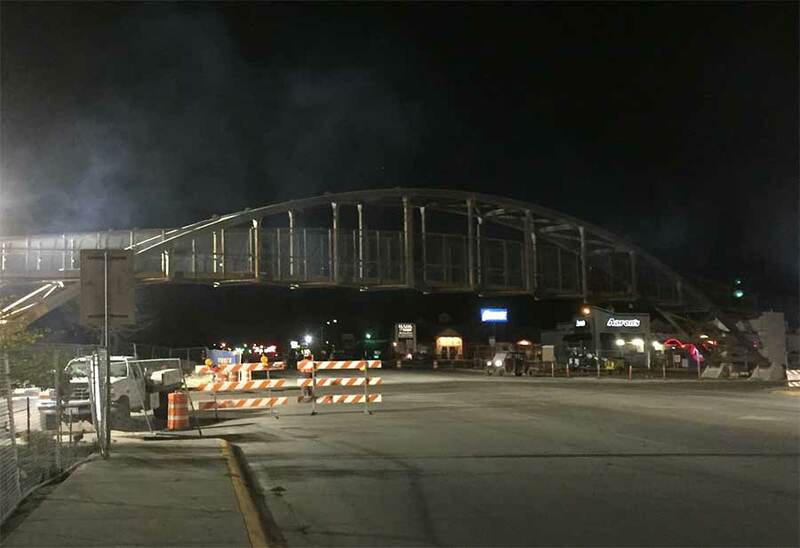 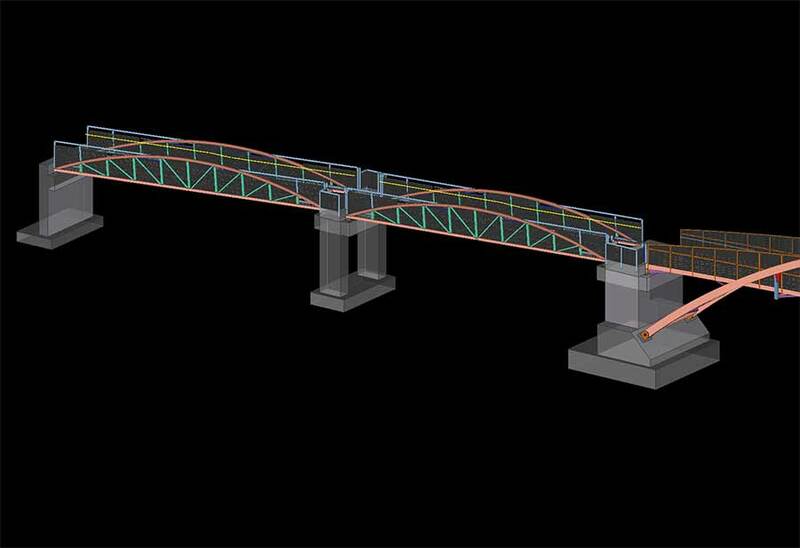 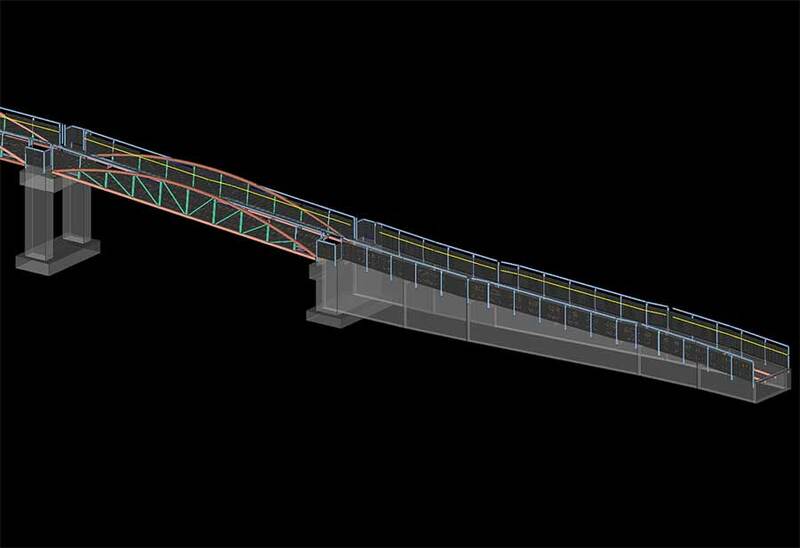 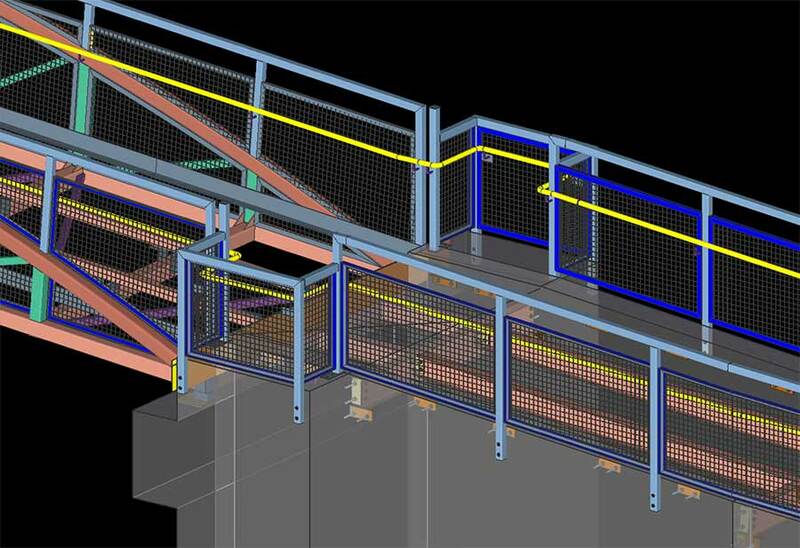 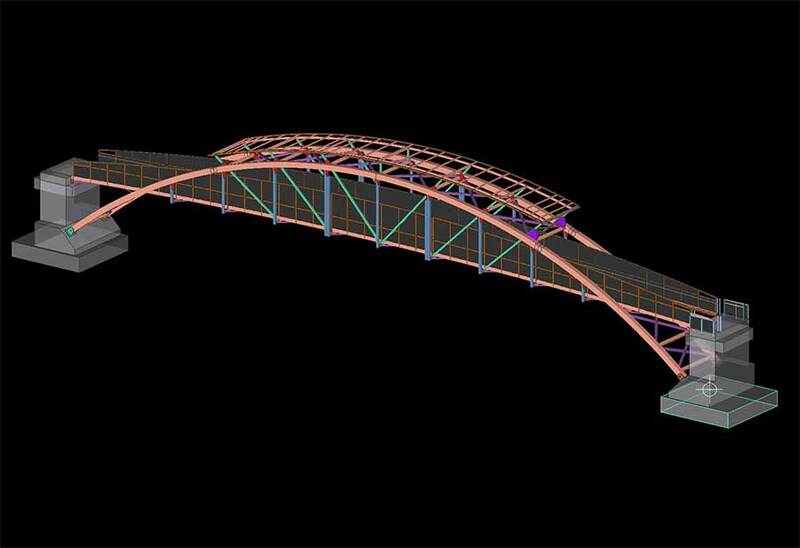 To accommodate overnight construction and avoid traffic interference, the bridge was designed around multiple splices. 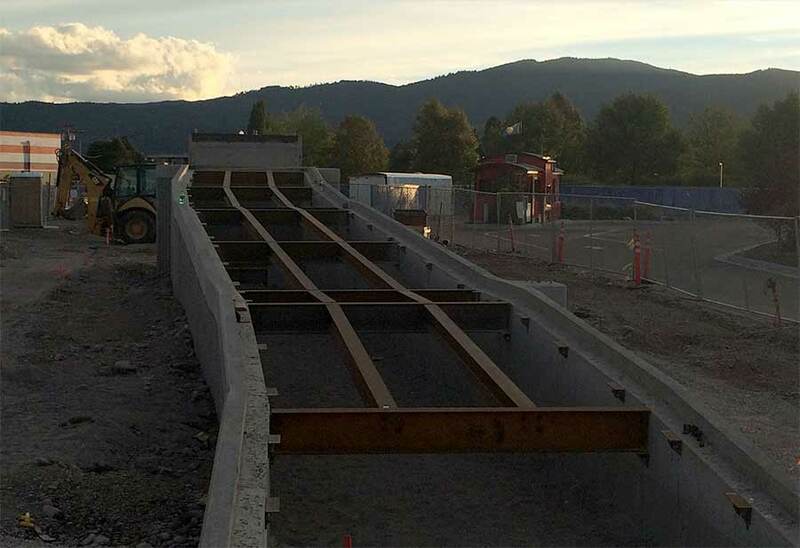 These were shipped and erected with the guardrail system already included to minimize field welding.